Apple cider vinegar is made from apples, and it undergoes two fermentation processes. It is highly beneficial for health because it contains several nutrients. You can add organic apple cider vinegar in various food recipes or simply consume small doses of this natural health drink mixed in water, two to three times in a day. 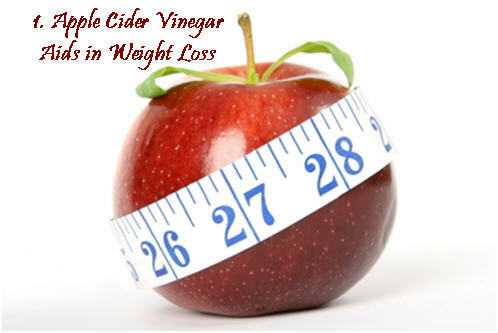 Regularly drinking apple cider vinegar stimulates circulation, purifies blood, and assists in detoxification, thereby facilitating weight loss. Moreover, it prevents fat accumulation and helps suppress appetite by controlling blood sugar and impacting the glucose and insulin secretion. In fact, it helps break down fats so that your body can use the fats instead of storing them. Plus, it can be taken to stop sugar cravings. Hence, you can have a small amount of apple cider vinegar mixed with water before your meal. The acetic acid present in apple cider vinegar slows down the digestion of starch that helps control the rise in glucose that occurs after a meal. Plus, it works as a natural remedy for heartburn. 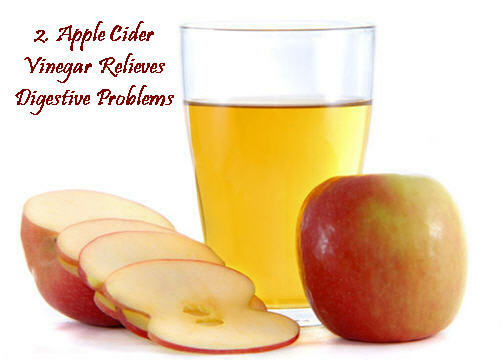 In addition, raw apple cider vinegar contains digestive enzymes that aid in digestion and improve the bowel movements. Furthermore, it has anti-fungal, anti-viral, and anti-bacterial properties. It is believed that apple cider vinegar lowers blood pressure, reduces cholesterol, decreases the risk of heart disease, and even esophageal and bladder cancer. Being slightly alkaline, apple cider vinegar helps restore your body’s natural pH, which is disrupted by poor diet and lifestyle habits like taking tea, coffee, wine, and other acid-producing foods and beverages. High levels of acids are likely to contribute in lack of energy and increasing the chances of developing infections. Alternative practitioners believe that though apple cider vinegar is an acidic solution still, it has an alkalinizing effect on the body. 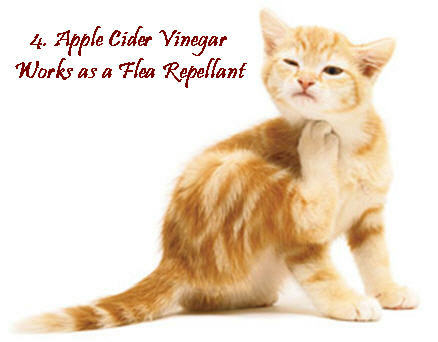 This natural healing elixir can also be used to get rid of flea infestation on your pets. For this, you need to spray a solution of one part of apple cider vinegar and one part of water on your furry companion’s hair coat and rub it generously on the skin. 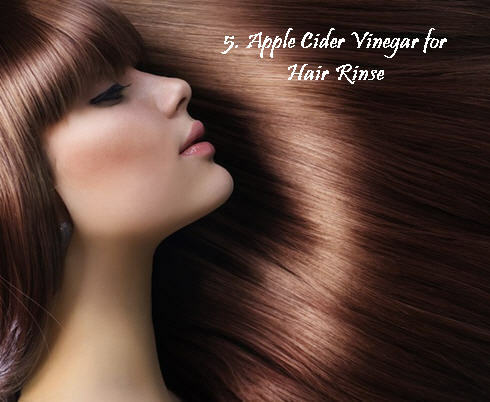 Rinsing your hair with a cup of water mixed with a tablespoon of apple cider vinegar helps remove product buildup (shampoos, conditioners, hair styling gels, and so on) from the scalp, and promotes shine and smoothness. It can also be used in the treatment of head lice. Moreover, when dealing with dandruff, you can rinse your hair with a combination of a quarter cup each of apple cider vinegar and water. 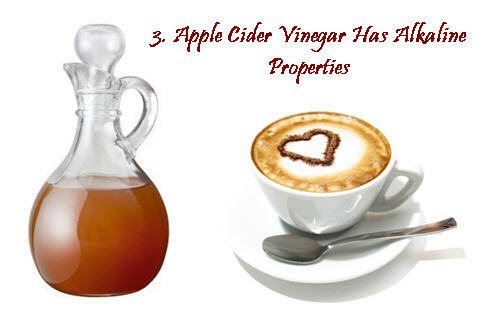 Apple cider vinegar is highly beneficial for your skin, too, because it regulates the skin’s pH. 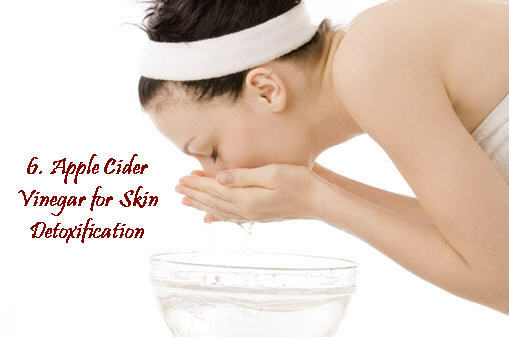 You can drink as well as apply dilute apple cider vinegar on your skin to avoid premature aging. Plus, soaking in bath water mixed with apple cider vinegar relieves sunburn. If you are troubled by ugly acne, then mix three parts of distilled water in one part of apple cider vinegar and apply this solution on the affected areas. Furthermore, it can be used to get rid of cold sores and warts. In case you are not used to drinking a mixture of apple cider vinegar and water then you can add some fruit juice or honey in the solution to improve its taste. Thus, you can prepare the solution by mixing two tablespoons of apple cider vinegar in a gallon of water along with a little honey. Dilution of apple cider vinegar is recommended because it is highly acidic and tends to damage the tooth enamel. When considering about including this healthy drink in your diet, make sure you consult with your physician about it may interfere with certain medications and alter the insulin levels.